A magnificent ring set with five shimmering diamonds in a classic eternity style, with a total carat weight of circa 1.00cts. 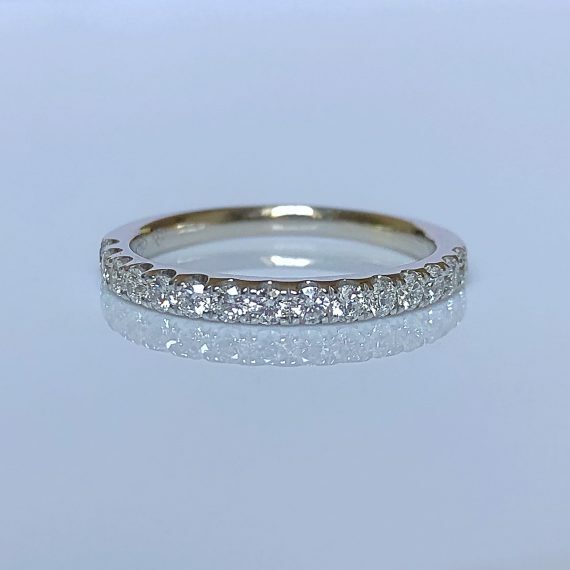 This beautiful 5 stone eternity ring is set in luxurious yellow gold, with simple tapered shoulders to accentuate the setting. Ring is available in all finger sizes and all precious metals. Diamond can also be altered to suit price range and requirements. All of our diamonds are GIA, HRD or IGI certified. Ring is available from €3995.00. Call us on +353 (0) 168 555 51, email contact@internationaldiamond-brokers.com or click on the ‘Make an Appointment‘ button below to book in to view this fantastic ring. Subscribe to The International Diamond Broker's Mailing List and receive information on great deals and special offers! Please read our Privacy Notice for information on how we manage your data.